This is the movie version of the thread we all know in the general section. I personally have just gone high-def and will be upgrading my collection with my favourite movies in BLU-RAY! I thought in this thread share news and tips about releases and bargains! Both DVD and BD (BLU-RAY)! here is the link for them for anyone who is interested, the prices are great for blu-ray! this hmv always has an own exclusive slipcase on the releases! Wow, those are some bargains! I'm glad the BD prices seem to finally be affordabe. To be honest pourya jan, i've not sampled much of Guillermo Del Toros works. Do you recommend them? I do pedram jan, however his masterpiece is Pan's Lab! Start with that! After that comes Devil's Backbone which has some similarities with Pan's! On the more commercial side he has done Hellboy movies which are also decent. The orphange is produced by him, not directed. But its a good movie. He is directing the upcoming The Hobbit movie now! Yeah the prices are great! some even cheaper than the DVDs i must say! I am tempted to get Antichrist for that price, even though i havent watched the movie yet! lol even Persepolis is a European production. ummm, P jan man hamisheh taraf-e Khanoum-e Satrapi ro gereftam,montaha ishan bad az jaryan Oscar,umad ye dafeh goft keh poule film az france national bank gerefteh nashodeh balkeh yek company az U.S umadeh taghabol kardeh movie ro ! ye khordeh badam umad keh chera ishan az aval roo rast nabud ! i am not the only person with this opinion !!! do se ta french newspapers ham behesh yek mini gir dadan va ghabl az summer,cann ham tahvilesh nagereftan ! shayad aslan mohem nabasheh ha vali fekr mikonam vaghti kasi beh in magham mireseh,bahas roo rast basheh. ba in hal baz damesh garm ! Sweden currently holds the EU's rotating six-month presidency,Hala Mr swedish jadid E.U ghol dade keh swedish banks yek hal-e hesabi beh european productions cine. bedeh ! damesh garm! lol ishoon harf ziadi mizane, khode cinemaye sooed vazesh kharabe. I am thinking about pre-ordering this one! Its the play.com exclusive steelbook! sadly the giant UK ratings will ruin its cover but still nice price! beh ghiafash nemiad vali khoob beh har hal chand sal hast keh sweden ghol dadeh ! Thanks pourya jan, i must say Pans does appeal to me, i may pick it up during the weekend. Btw, have you purchased any of these "Reel Collection" exclusives? Many films seem to have been issued in this format but i'm not sure whether they are worth the extra few pounds.. Yes I know these and was once close to get Hellboy 1! But never got it so I have no idea! I went ahead and ordered the HMV exclusive (slipcase+booklet). So far the best release until Criterion releases its superior version in winter, but that will be region-locked! sadly! This movie changed my perspective about Che ! It's a great movie that should have been issued in one installment, rather than the 2 parts. Del Toro is nothing short of excellent in this role. 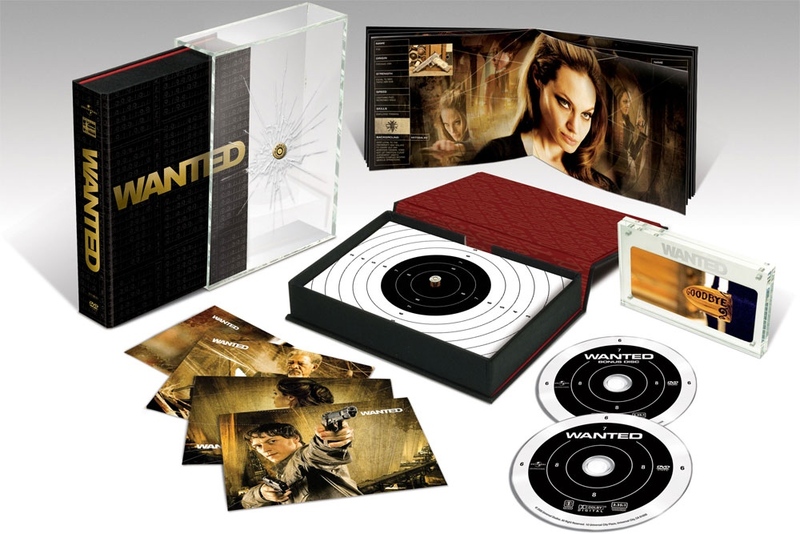 Thats a nice edition pourya jan. Have you completely abandoned the DVD now, in favour of BD? along with some exclusive steelbooks! However I still buy DVDs if the packeging interests me! Yesterday I bought Gran Torino digipak from Thailand 10 euro delivered! But yeah, when it comes to movie watching I am all BLU now! 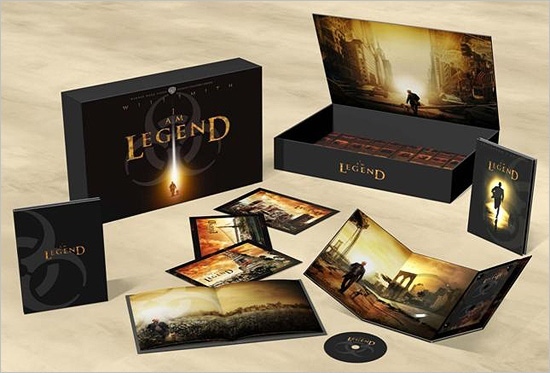 Nice sets, particularly the "I am Legend" one! I think the time has come for me to also commit only to BD purchases. What makes you still buy DVDs Pedram jan? is it the price? Right now the BDs are sold for a reasonable price in my opinion. Sometimes even cheaper than DVDs! yesterday I bought the Swedish BD of Elegy for 7 euros! Thats dirt cheap, it was released month ago! I ordered some from play.com the other day! great bargains delivered for £9-10! However TV series as single seasons are still not worth the price in my opinion! Unless one doesnt know when it will end! Yes pourya jan, its purely a price issue, but now seems to have tailed-off slightly as you said. The TV box sets are still a good £10 more than the DVD issues though. Up until recently some series and releases were only given DVD release, now it seems that most studios are pushing both formats. I gotta say though, i much prefer the BD cases to the DVD ones! yes the normal cases, however I still prefer the digipaks! I'm glad to see that some series have received digipak treatment even in BD! For example True Blood! If LOST had started now and got BD release I would have gone season by season! no doubt! but its not worth to go retroactive and get them when in two years the complete BD set will be released for 1/3 of that price! Thats a lovely Digipack edition! Is it DVD size, or smaller Blu-Ray? I have Lost S4 in Blu-Ray pourya jan, and damn it looks excellent! The island and everything is just so vivid, it really does make the experience far more immersive. People often forget that with BD you are also getting far more superior sound too so really is much better. It wasn't cheap though @ £50 for a 14 episode season lol! I "think" they are about the same size as the DVD sets! Yeah I can imagine that pedram jan! However you watched that seaosn first time on BD, but would you pay the same price for a the season 5 BD set now that you have already watched it? To be honest i'm really not that sure what i'll do with this next boxset as we know next season will be the last, there are bound to be some great complete series boxsets on the way. So i may wait for that in BD edition I will pay the extra for BD when it comes to my favourite programme! How about you?